The old church out in the fields at Babingley was a ruin by the middle of the 19th century. But that was not unusual in this part of Norfolk, of course. The Prince of Wales's purchase of the Sandringham estate would have a revitalising effect on what was one of the poorest areas of rural England, and many of the churches around here were restored lavishly under his patronage. 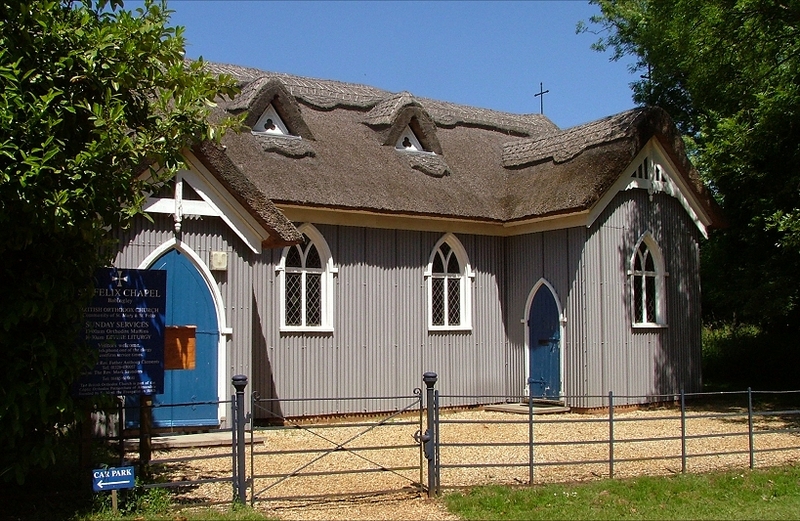 But Babingley old church was a mile from the nearest road, and so it was decided to develop the 1880 mission chapel on the main Kings Lynn to Hunstanton highway as the parish church. 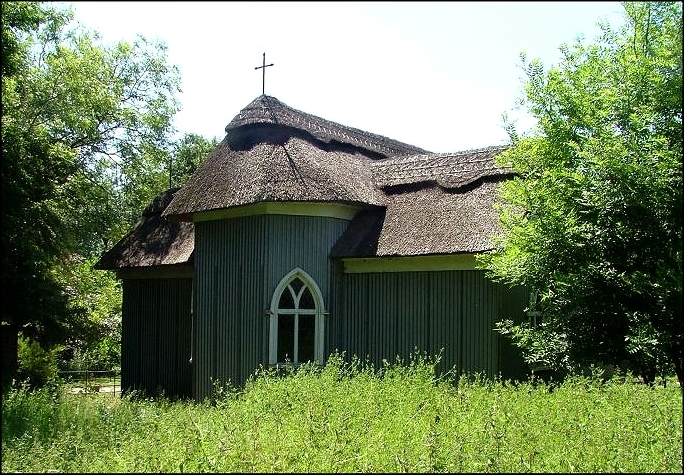 The chapel takes its name from the local tradition that this was where St Felix, a missionary from Burgundy and today co-patron Saint of East Anglia, first made landfall. Several other places claim the same distinction. 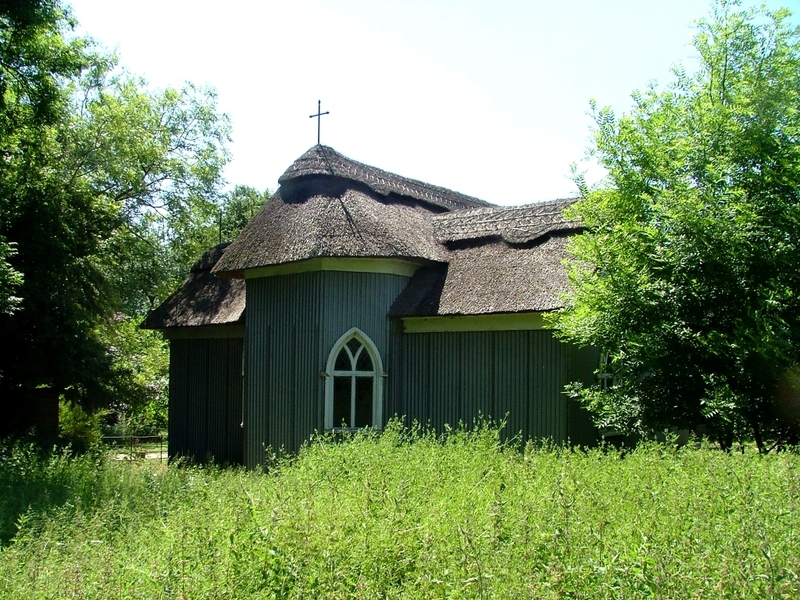 The chapel of St Felix is unique in East Anglia, and perhaps in England, as a thatched, cruciform 'tin tabernacle', a corrugated iron building constructed from a kit, probably made by Boulton and Paul of Norwich. The retrenchment of the Church of England in recent decades has led to redundancy for this disarmingly pretty building - ironically, it is probably the placement of the church on the main road that has made it a candidate, because parking is almost impossible. However, St Felix has not been lost to us, and is now in the care of the British Orthodox church, that curious amalgam of Orthodox traditions that was filled with energy by the decision of the Church of England to ordain women as Priests. A minority of those who left Anglicanism over the issue could not bring themselves to become Catholics, and found a home in this eastern tradition. The community here dedicate themselves as St Mary and St Felix. 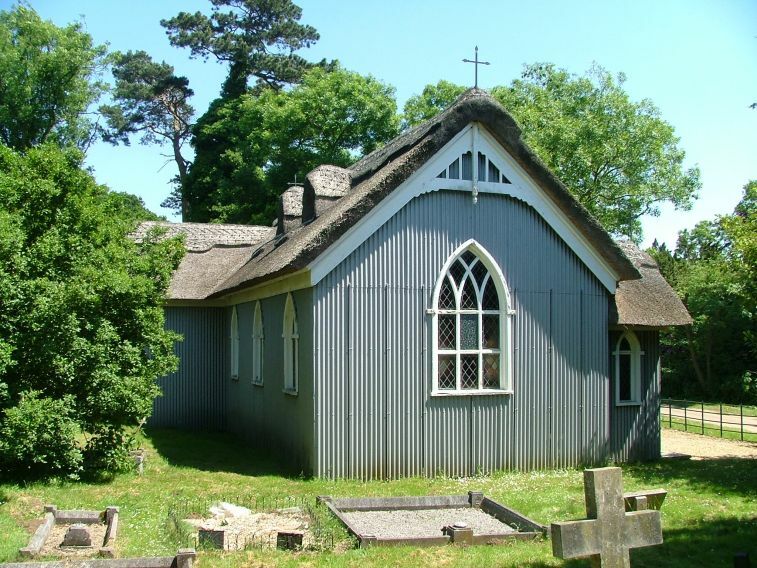 The denomination has half a dozen churches in East Anglia, all fiercely independent of each other. It is said that the current Prince of Wales takes an interest.